While each of the nine planets have their own significance in shaping up the life of an individual but Venus is arguably the most significant planet of all the nine planets, as far as flourishing in this materialistic world is concerned. This is because Venus signifies love, beauty, attraction, luxury, huge wealth & prosperity in life and we all know the that in order to lead a fulfilling worldly life, all these attributes are needed in abundance. A person can get away with the shortfall of knowledge in life very easily, if wealth & prosperity are there in abundance in his/her life. However, a life full of knowledge & wisdom but devoid of wealth & prosperity is meaningless for a person who looks beyond the means of mere survival in this life. And whether we admit it or not, but everybody aspires to lead a life full of all the comforts and conveniences in this world. Therefore having the strongly positive influence of Venus, is a must for everyone who wishes to have unparalleled luxury, prosperity, wealth and love in life. Venus provides its results in two ways in the life of an individual. One as per its placement in the natal horoscope of an individual and secondly as per its movement in the Transit. Today we are going to talk about the effects of Venus in the life of people of all 12 Moon signs during the period of Venus transit from the sign of Scorpio to Sagittarius. Venus as per its transitory movement, will leave the sign of Scorpio and enter the sign of Sagittarius on 29th January 2019 where Saturn is already there, so it will be a crucial period to watch out for! Venus will enter the 9th house of your transit horoscope. Here, Venus is likely to tempt you towards going on a vacation to an exotic place and you are likely to experience a new scintillating spark of love in your relationship. You might feel like spending some money on clothes & beauty accessories during this time. Avoid getting overpowered by temptations of unnecessary luxury spending and focus on introspecting about your future goals during this time. This is the perfect period to start a holistic routine in life such as Yoga & Meditation. Take care of your father's health during this time. Read: Are you having Health Problems? Get Accurate Predictions and Effective Solutions! Venus will enter the 8th house of your transit horoscope. Here, you are likely to experience an increase in the intensity of involvement with your partner in your relationship. But be cautious of some misunderstanding that could create unwanted rifts. This period might bring some troubles as far as issues of ancestral property is concerned. Avoid going on travels that can be avoided or deferred for some time as this is not good period for safe travels. You may witness some issues with your in-laws. Venus will enter the 7th house of your transit horoscope. Venus in 7th house will bring marital bliss in the lives of couples that are married and will enhance the prospects of marriage for those who are looking to tie the knot. For people in business, it is a time to reap the rewards of past investments but do remember to keep a check on your partner or think multiple times before entering into a new business partnership. Read: Are You Having Problems in Terms of Acquiring Stability in Income? Venus will enter the 6th house of your transit horoscope. In this house, Venus will create problems related to your job or workplace and might get you in some trouble with higher authorities. Avoid any argument with your boss and do not make any unsolicited advice to any one as the other party may get unnecessarily offended by that. Take care of your diet and avoid eating junk foods as your digestion is likely to get disturbed during this time. Venus will enter the 5th house of your transit horoscope. This is a good period for your children and those who are looking forward to becoming parents, this is a favourable period which will bring good news on that front. People in love would find this period very mesmerizing as far as their relationships with their partners go. Health will be good and if one is suffering from any ailment, then this period will bring relief from the ailment and bestow good health. This period is also beneficial for the education aspect of students in particular. One would experience mental peace and clarity in thoughts during this time. Venus will enter the 4th house of your transit horoscope. If you are looking to buy or sell a vehicle, then this time is favourable for you to make such a decision. You might get interested in making some changes in the interior decoration of your home. Relationship with your mother might be a little turbulent during this time, however no major problem is seen but you must take care of her health. On the front of your personal health, start a routine of mild exercises (if not doing them already) and be conscious about what you eat. Keep the fat & salt content in your diet in check and take care of your heart. Venus will enter the 3rd house of your transit horoscope. Venus in third house will enhance your creativity and if you are into the fields of fashion designing or content writing, then this period will get you the recognition for your professional efforts. This period may bring some unavoidable short distance travels but they will prove to be beneficial in the end. The communication aspect of your personality will significant improvement and admiration from others and you are likely to convince others to resonate with your views. Relationship with siblings might witness some differences but everything will eventually work out fine. Venus will enter the 2nd house of your transit horoscope. Venus in second house will bring an increase in your income and will tempt you to allocate some capital towards some asset class, but make an investment only after performing due analysis. This period may bring some eyesight related issues, hence do not put too much strain on your eyes. On the family front, this period will give mixed results and it is best to avoid getting into arguments over petty issues with your family members. Not getting along with family? Consult Family Relationship specialist Astrologer Abha Bansal and get them resolved. Venus will enter the 1st house of your transit horoscope. Venus in the 1st house will enhance the attraction in your personality to a great degree. You will be more inclined to keep your visual appearance charming during this time. 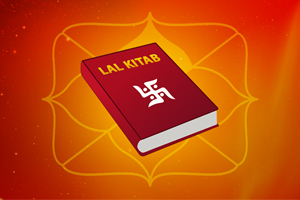 This period also signifies an overall good health, both physical and mental. It is a good time to take any long pending financial decisions but you may experience hurdles in some issues where you have to deal with the regulatory authorities. Finance dwindling this year? Get your Finance Report for 1 year penned down by an expert. Venus will enter the 12th house of your transit horoscope. Venus in this house will make you extravagant and you are likely to incur sudden expenditures. Long distance travel is also on the cards but it is not likely to prove fruitful to you if you take decisions in a hurry. Avoid making any fresh investments during this time and this is not a conducive period to put your money in risky avenues such as stock markets. Take special care of your lower back and legs during this time and this period is not favourable for your health in-general. Venus will enter the 11th house of your transit horoscope. Venus in this house will bring you monetary gains. During this time, you are likely to spend pleasant time with friends and family specially your elder brother or uncle. This period is very favourable for getting success in a competition and is particularly rewarding for students. Health will be great during this time. Venus will enter the 10th house of your transit horoscope. Here, Venus will positively influence your career and anyone looking to go for a job interview can make the best use of this time. Your professional performance is likely to be high during this time and you will remain in a state of ease at what you professionally do.Although, beware of getting into legal hassles during this time. 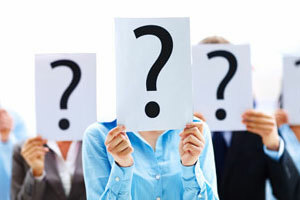 Wondering what this year will be like for your career? Get all the answers from expert Astrologers in Career Report for 1 year. This is what Venus is likely to signify in the lives of people of all 12 Moon Signs for the period in which it will move in the sign of Sagittarius. However, one must remember that this is an in-general prediction and if one wants to know the exact result of Venus Transit in his/her life, then that person should consult with an experienced & professional astrologer to get a detailed & accurate analysis of what this Venus Transit exactly signify for him/her. 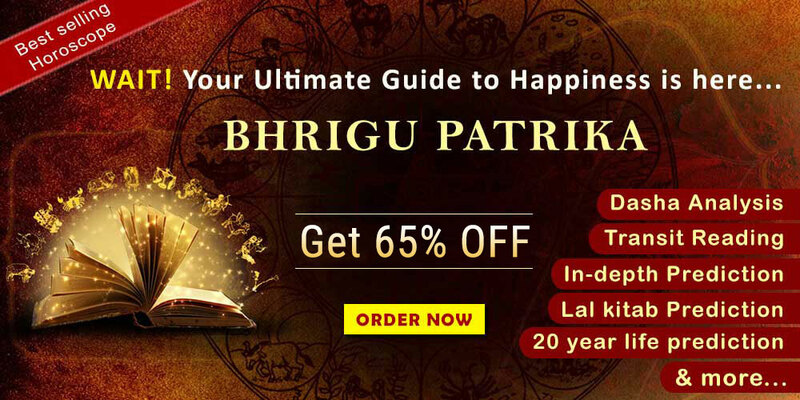 Future Point provides a comprehensive personal horoscope analysis and suggests incredibly powerful remedies that have the potential to change the course of destiny in your favour. So what are you waiting for? 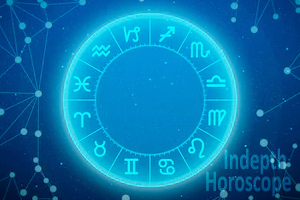 Consult India’s leading Astrologers at Future Point today and nullify any harm that might befall you due to Transit 2019. May you have a prosperous year 2019 with lord's grace shining bright upon you!